We provide a 5-year warranty on all residential remodeling projects and residential roof replacements. *Does not apply to roof repairs or commercial projects. Please browse some of our most recent projects to receive some inspiration for your next Homefix remodel! We partner with DesignCents. 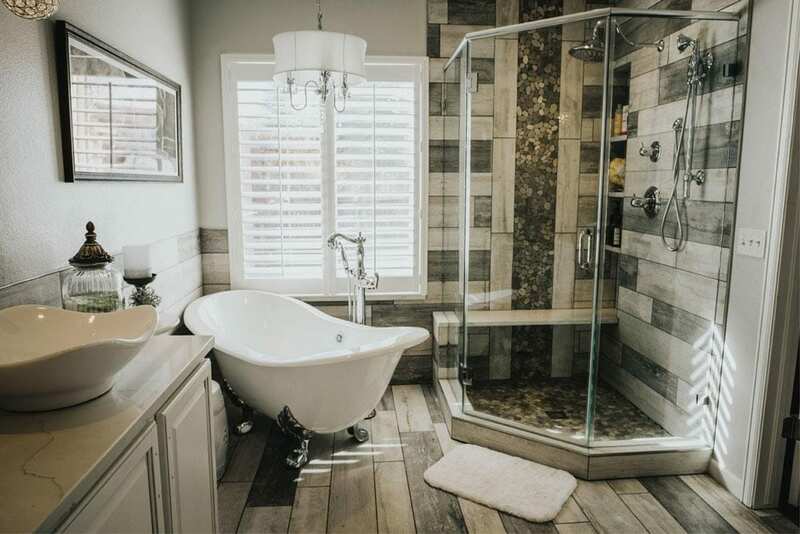 The office and showroom we share makes it easier for our customers to achieve their dreams by guiding them through the best colors, materials, and layout for their bathroom, kitchen, or basement. The experience is just as important as the end result, and we want to make the experience as effortless as possible! Truly a company with construction knowledge, integrity, honesty, and ethics! So glad that I have found a reliable, responsible remodeling and roofing company in Colorado Springs. One of the best companies I’ve seen in this area. I cannot recommend these guys enough for any job large or small. Thanks to all of the guys on the Homefix team! Do not hesitate hiring this company. They are a top notch company and we are picky consumers! … I have to say these guys lived up to their reputation… I’m a retired project manager so I’ve dealt with a lot of contractors – good and bad. I would not hesitate to hire Homefix again.